Flavor West Orange (Natural) Concentrate contains no artificial flavourings, providing only the natural sweet and tangy taste of freshly squeezed oranges. Flavor West Orange (Natural) Concentrate contains no artificial flavourings, providing only the natural sweet and tangy taste of freshly squeezed oranges. 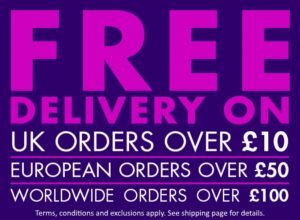 With its authentic natural taste, this flavour concentrate makes a lovely and refreshing all day vape when used as a single flavouring, where the bright, fresh orange flavour tastes delightful just on its own. 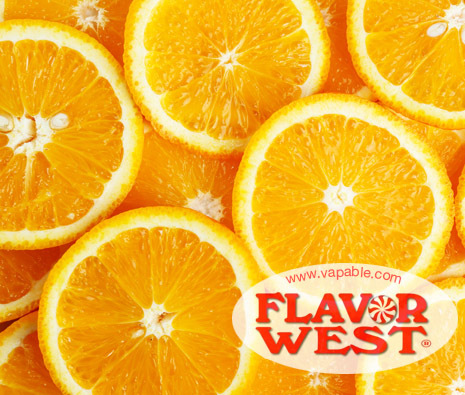 When used as part of a DIY recipe, the sunny citrus flavour of Flavor West Orange (Natural) Concentrate can really make your e-liquid shine. 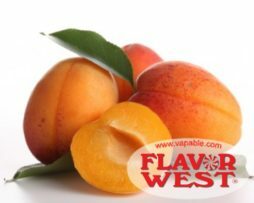 Delicious with beverage or dessert flavours, try Flavor West Orange (Natural) Concentrate mixed with other fruits and create an exotic DIY fruit cocktail e-liquid. Natural Flavouring and Propylene Glycol and Ethanol. USP Kosher Grade Flavouring. Independently laboratory tested Diacetyl free.